Trump SoHo New York opened in 2010 and is a four star Manhattan hotel in the US. With 390 luxury guest rooms across 46 stories, Trump SoHo is part of the Trump Hotel Collection group, a high-end hotel and resort chain operated by the Trump Organization. Manual processes for managing guests’ additional requirements sometimes made it challenging to deliver expected service. The Trump Hotel Collection is internationally recognized for its first class hospitality and exceptional service, guaranteeing that every client will have an unforgettable experience. When receiving guests that require a special welcome, the hotel can prepare specific amenities such as flowers, sweets, and drinks. But the important amenity request process that ensured the delivery of these special touches was handled manually – a situation which sometimes led to inaccuracies. The hotel sales manager was required to fill out a form and mail it to the Guest Services department who in turn could complete a spreadsheet that captured the details of the amenity requested. This spreadsheet would then be shared numerous times with the affected departments, such as room service and room control. “The process took a lot of time, we had a lot of miscommunication and there was little visibility into what was happening in the process,” said Eric Brunnett, Director of Information Technology at Trump SoHo New York. Critically, any inaccuracies introduced by the manual capture, sharing and updating of the information had a direct impact on customer service; the spreadsheet often became out of date as it was redistributed and updated multiple times and this could lead to errors and confusion with the orders. Trump SoHo New York therefore decided to look for a way of automating the process, seeking to gain more control and visibility over the activities and guarantee the exceptional levels of service for which its brand is known. A digital amenity request process that ensures each guest’s unique service requirements are perfectly delivered. 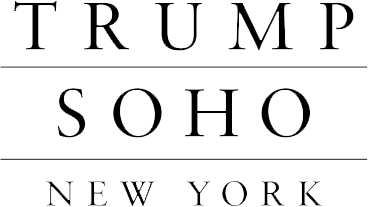 Using RunMyProcess the Trump SoHo IT team were able to digitally transform the amenity request management process in less than two months, creating a new application that coordinated activities across departments to ensure that guests’ requirements were always met. Using the new application a sales manager can fill out an online form to capture the details of the amenity request and make it immediately visible to the other teams within the hotel. As an additional ‘sweetener’, the application also allows the sales manager to request a cake from kitchen staff. Once captured the amenity request is automatically added to an application dashboard used by the room control and room service teams to schedule and fulfil requests. This allows the room control team to manage the fulfilment of each request by adding additional information required by the room service team, such as the client’s room number. Once scheduled the request appears within the room service team’s digital task list, enabling them to manage the delivery of the amenity before updating the request status to confirm that it has been successfully completed as per the guest’s requirements. To facilitate better information sharing the developed application also uses RunMyProcess connectors to fully integrate with Trump’s Google Apps infrastructure, making it easy for everyone to share data and providing seamless access to the system through single sign-on via Google OpenID. The Trump SoHo New York team is justifiably proud of their achievements in delivering business value through their application development. “The application gave us accuracy, accountability and efficiency within the process – things we didn’t have before,” said Brunnett. “Our sales managers can now submit requests that are more detailed, helping us improve the speed and the consistency of the process” confirms Eric Brunnett, Director of Information Technology, Trump SoHo New York. The RunMyProcess solution delivered by the Trump SoHo IT team allowed the hotel to reduce costs, increase accuracy and deliver greater transparency within the end to end amenity request process. The automation provided by the process also helped the teams save valuable time through real time submission and visibility of requests. Importantly the solution also provided far greater security controls, allowing the separation of activities by role and ensuring that only the room control team could complete the client’s room number, for example. Finally from a business improvement perspective the hotel team now has access to real-time reports that support continual streamlining of the process itself, helping the hotel to better understand its customers’ needs and improve profitability. “Thanks to the reporting, we were able to see what was selling and what wasn’t, allowing us to optimize our amenity selection and focus on the most profitable amenities,” added Brunnett. Access to real-time reporting, resulting in streamlined systems.